A leading nuclear facility needed to replace their older chemical water treatment tanks, have new ones installed and utilize a PA DEP certified provider to validate the installation. They also needed a proven general contractor to manage the process due to the importance and sensitivity of the project. These chemical water treatment tanks are vital components of a process that controls water chemistry and biological pathogens for the facility’s cooling water system. 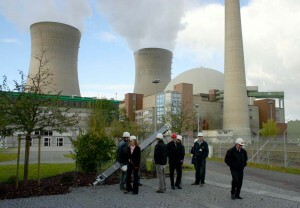 The nuclear facility selected Electro Chemical Engineering and Manufacturing Company as the general contractor and installation certification resource due to their experience and high quality reputation for managing critical condition projects. The removal of three existing polyethylene tanks. These tanks were cut up inside the treatment room and placed into dumpsters. The removal of one steel tank and associated injection skid. The replacement of four Pulsafeeder chemical injection pumps. The replacement of all CPVC piping from the new tanks to the new injection pumps. The removal of one containment wall. The removal of existing coatings on the containment floor and walls. The application of HD257 primer and HD253 epoxy top coat system for the floor and inside walls of the containment area. 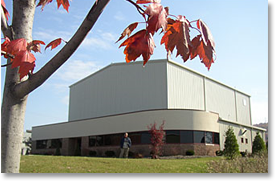 Inspection and PA DEP certification records for all installed components and pump motors were completed and submitted to PA DEP. Electro Chemical took on a very challenging project within a sensitive environment as the general contractor leading a team of providers to remove the old chemical water treatment tanks, install new ones and PA DEP certify those installations along with coating the containment walls and floor to ensure sealing. By selecting Electro Chemical as the general contractor for these critical PA DEP regulated activities, the customer was assured the project was completed correctly, on time and within budget. The nuclear facility now has a long term and effective solution.